Sean Spicer has been accused of racism after he told an American woman of Indian descent that the US was “such a great country that allows you to be here,” following a confrontation in an Apple store over the weekend. 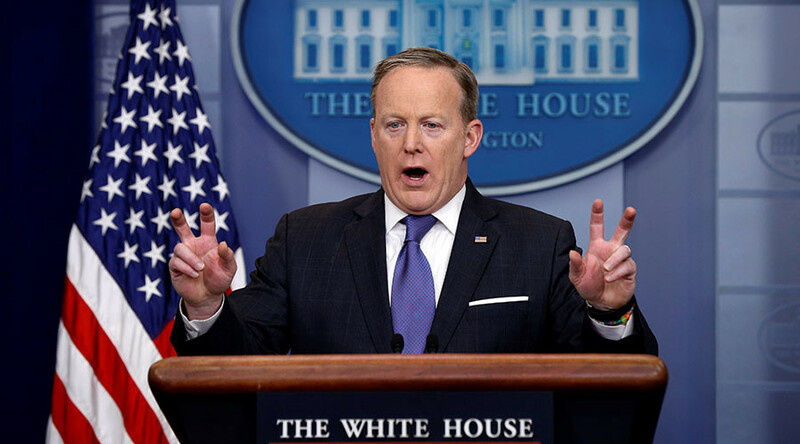 “How does it feel to work for a fascist?” Chauhan asked Spicer, who appeared to be buying an iPhone. “We have a great country,” Spicer replied. “Such a great country that allows you to be here,” Spicer said with a smile. The exchange has received a lot of attention online, with many accusing the former communications director and chief strategist for the Republican National Committee of racism, levying the charge that Spicer’s comments represent the Trump administration’s views on immigrants and minorities. Chauhan didn’t even hear Spicer’s controversial comment during the encounter, and was later told what had been said. “I watched the video over and over again. I had other people watch it. I watched it with the sound off so I could watch Mr. Spicer’s lips and make sure words match up with the consonants I thought I heard,” she said. Chauhan is a former elementary school teacher who runs the Parents in Partnership startup and also previously worked in the Department of Education policy office.